Calgary, Alta. 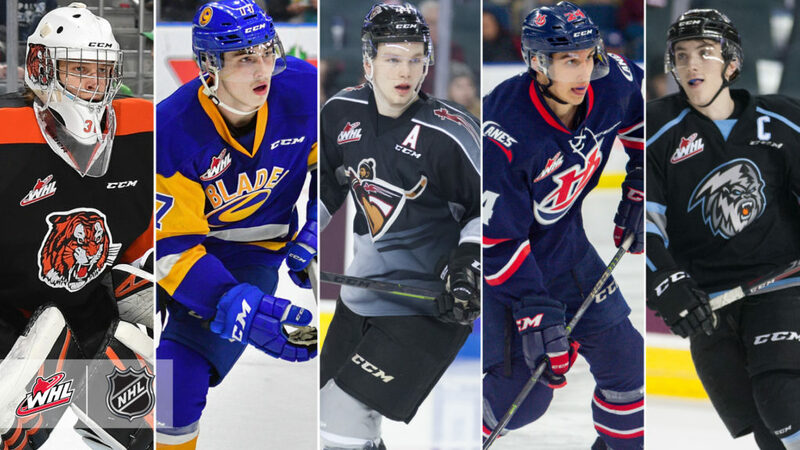 – The Western Hockey League announced today that 50 WHL players have been listed by NHL Central Scouting in its final rankings in advance of the 2019 NHL Draft, scheduled for June 21-22 in Vancouver, B.C. Headlining the list are three WHL players among the top four skaters in North America, led by defenceman Bowen Byram (Cranbrook, B.C. 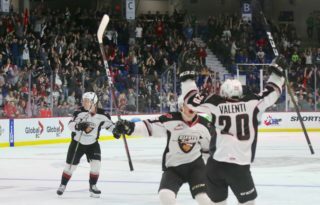 / Vancouver Giants) who is ranked second. Forwards Kirby Dach (Fort Saskatchewan, Alta. 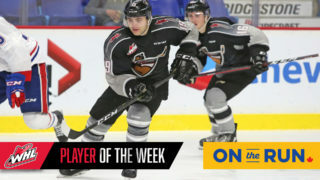 / Saskatoon Blades) and Dylan Cozens (Whitehorse, Yukon / Lethbridge Hurricanes) rank third and fifth respectively. Joining Byram, Dach, and Cozens in the Top 10 North American skaters is Winnipeg ICE captain Peyton Krebs (Okotoks, Alta. / Winnipeg ICE). 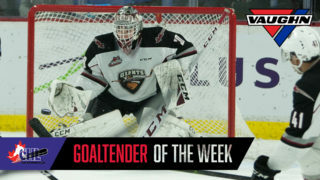 Mads Søgaard (Aalborg, Denmark / Medicine Hat Tigers) is ranked second among goaltenders in North America, leading all WHL net minders. Including, the aforementioned four skaters, eight WHL players are ranked inside the Top 31, including defenceman Lassi Thomson (15th – Tempere, Finland / Kelowna Rockets), forward Brayden Tracey (21st – Calgary, Alta. / Moose Jaw Warriors), forward Brett Leason (25th – Calgary, Alta. / Prince Albert Raiders), and defenceman Matthew Robertson (26th – Sherwood Park, Alta. / Edmonton Oil Kings). Notable risers on the final rankings, include Tracey, who led all WHL rookies in scoring with 81 points (36G-45A). He rose 52 spots from the midterm ranking to rank 21st. Adam Beckman (Saskatoon, Sask. / Spokane Chiefs), who ranked second in rookie scoring, rose 10 spots to rank 34th. On defence, Gianni Fairbrother (North Vancouver, B.C. / Everett Silvertips) moved up 35 spots to rank inside the top 50. 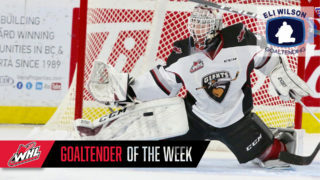 Overall the list includes 26 forwards, 14 defencemen, and 10 goaltenders from the WHL, representing all 22 WHL member Clubs. The East, Central, and U.S. Division each have 13 players on the list while 11 come from the B.C. Division. The Eastern Conference holds a slight edge with 26 players on the list to 24 from the Western Conference. Of the 50 players identified by NHL Central Scouting, five are currently competing with Canada at the 2019 IIHF Under-18 World Championship. The team’s leadership group features Krebs as the captain and Cozens as an alternate captain.